Below is a list of truck hiring companies that are currently hiring truck drivers. Be sure to check out "How to Make $65,000-$95,000 a year driving a truck!" 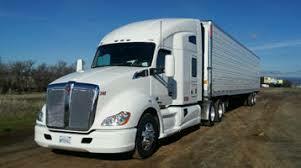 It is for New or Experienced truck drivers who want to make the most from a driving job. Finding driving jobs has become more difficult recently, driver recruiters say drivers who want to change carriers can find jobs if there qualifications stand out above the rest. Recruiters say now is the time to take on new skills or certifications in order to transfer to new trucking companies. Drivers who want to secure a new job should get their hazmat endorsement and secure their Transportation Workers Identification Credential (TWIC). And get a passport if that company goes to Canada. It would be beneficial to get a copy of your DAC Report now just to see what is on it before applying to these truck hiring companies. It can take up to 45 days to make corrections on it. The hazmat endorsement allows drivers to pull shipments of material classified as hazardous. The TWIC Program is run by the U.S. Transportation Security Administration. Once granted, the card gives drivers unaccompanied access to ports. And you must now have a passport to enter the U.S. That applies to truck drivers to. Drivers running in the Midwest are not as likely as drivers on the East and West coasts to think about the TWIC card. But there are major ports on the Mississippi and the Great Lakes. If you take two drivers and one of them has hazmat and TWIC, and passport that driver will get the job. I know that’s a lot to get but times are changing and these items are being required more and more. Companies are looking for drivers with a history of job stability, a clean criminal background and clean motor vehicle record. NewTruckDrivingJobs.com - NewTruckDrivingJobs.com has hundreds of trucking jobs from America's best trucking companies available now.